Join OSTA for our 2019 State Conference, focusing on building community partnerships! In addition to sessions on elementary science integration, and 3-dimensional teaching and learning, we'll have a brand new strand for partnerships with local organizations! Friday evening we are holding the annual Celebration of Science Education dinner! This year it will be held at the Tulsa Air and Space Museum. Join us as we celebrate the winners of OSTA's awards, and listen to our amazing guest speaker, Buzz Carpenter, a former SR-71 Spy Pilot! Saturday will be a day full of sessions at the Wilson Teaching and Learning Academy in Tulsa, Oklahoma! We hope to see you at both events!! Ticket purchase to all Conference events is non-refundable. 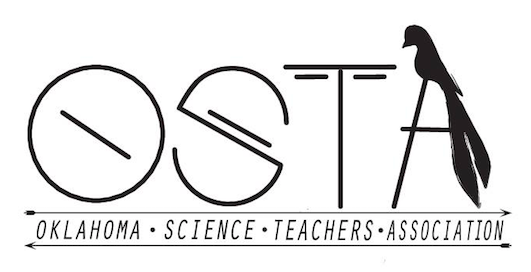 Join OSTA in supporting Oklahoma science teachers by sponsoring a table(s) or awards at our Celebration of Science Education dinner, hosting a table at our Saturday conference, and/or donating door prizes for attendees! The Celebration of Science Education dinner is Friday night, June 7th at the Tulsa Air and Space Museum. We will be recognizing our State Teachers of the Year (TOY) in Elementary, Middle, and High School, TOY in College/University, New Horizons Teacher of the Year (early-career teachers), and our highest honor, Jack Renner Distinguished Service award. We also have a guest speaker, Buzz Carpenter, a former SR-71 Spy Pilot! So join us in a night of celebration! The conference, Teaching Outside the Box - Community Partnerships, will be Saturday, June 8th at the Wilson Teaching and Learning Academy in Tulsa. We will have an exhibitor area for vendors, sessions all day (including a band for community partnerships!) and door prizes at the end of the day. If you are also interested in presenting at our conference please let us know!